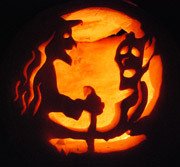 Samhain (pronounced Sowain) is a Celtic festival, and is the last day of the year in the pagan calendar. Traditionally it was the time for remembering and honouring the dead – a custom found in many other ancient cultures. When Christianity superceded the old religion, it became All Hallows’ Eve, the day before All Hallows when the saints were honoured. But the idea of a festival for the dead remained; this has become completely transformed by commercial Hallowe’en, with its skeletons and ghouls, and the spiritual side of this dark festival forgotten by many. Samhain is the time when the veil between the realms of the living and the dead is at its thinnest. Departed souls may find a way to contact the living. It’s a time for remembrance of our ancestors, and those we’ve loved who have passed on to the Otherworld (or whatever name you give to the afterlife). It’s a time of letting go of the old and getting ready to embrace the new, with the start of the pagan New Year the next day. At Stonewylde, all fires are extinguished at dawn and people fast until sunset. A great labyrinth is built on the Village Green, with white pebbles from the beach depicting the cursal path. In the centre is a wicker dome where the only fire at Stonewylde burns, and crows’ feathers and bones hang inside from the roof. Every member of the community, Hallfolk and Villager, walk this Green Labyrinth dressed in a black cloak. Once inside the dome they drink a heady brew of elderberry wine, and meditate – some may say hallucinate. 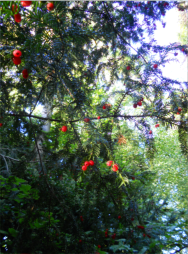 The elder and the yew are the trees sacred to this festival, the elder as it’s the tree of the crone, and the yew because of its association with death and rebirth. 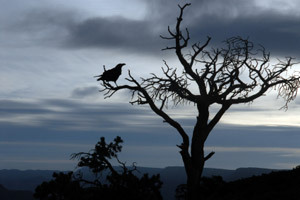 The crow is the symbol of Samhain, and is painted as the main symbol in the Stone Circle. 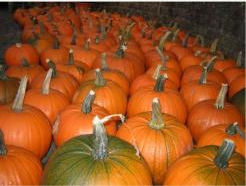 Carved Jack o’ Lanterns and papier mache skulls decorate the Great Barn. At sunset, an enormous bonfire is lit in the Playing Fields adjoining the barn, its flame sparked by the one fire burning in the Labyrinth. Everyone dances in great circles around the fire, symbolising the never-ending turning of the wheel of the year. Then the feasting and dancing begin! Up in the Stone Circle, the Stone Labyrinth is built, along with a huge funeral pyre. The third book explains all about the strange rituals that take place here, when the Dark Angel is summoned. This is the stuff of nightmares. Take time at Samhain to remember those who’ve died; this is the day of remembrance. Also take time to reflect on the year that’s passed, and learn from it. Look ahead to the coming winter and new opportunities, and think of what you hope to achieve. Buy Stonewylde from Amazon today! Please send me an email, and I'll get back to you as soon as possible.